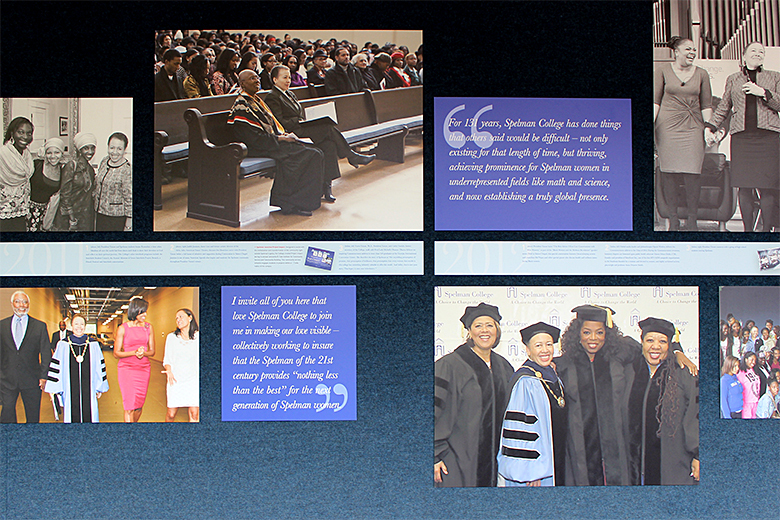 Spelman College is a global leader in education of women of African descent, comprising of more than 2,100 students from 41 states and 15 foreign countries. Spelman empowers women to engage the many cultures of the world and inspires a commitment to positive social change through service. For many years, the school’s former President, Dr. Beverly Daniel Tatum, championed this dedicated endeavor. 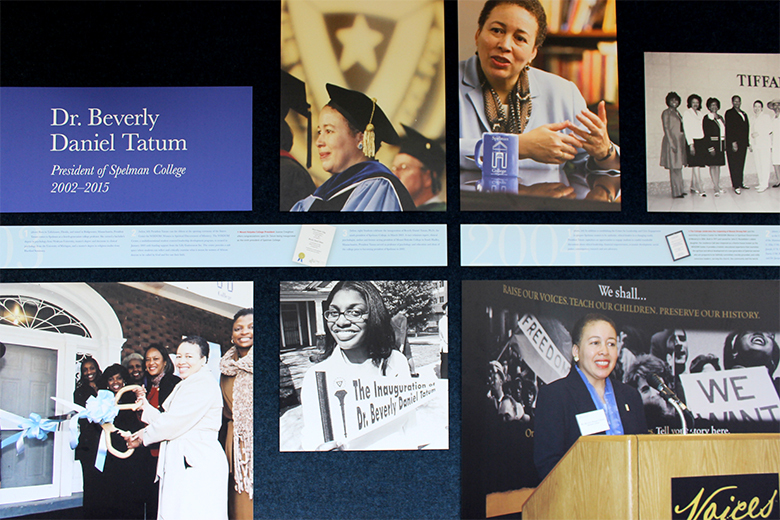 After more than a decade of service, Dr. Tatum announced her retirement, and Spelman College prepared a series of dedications to her legacy, seeking out Resource to help capture the essence of this campus icon. 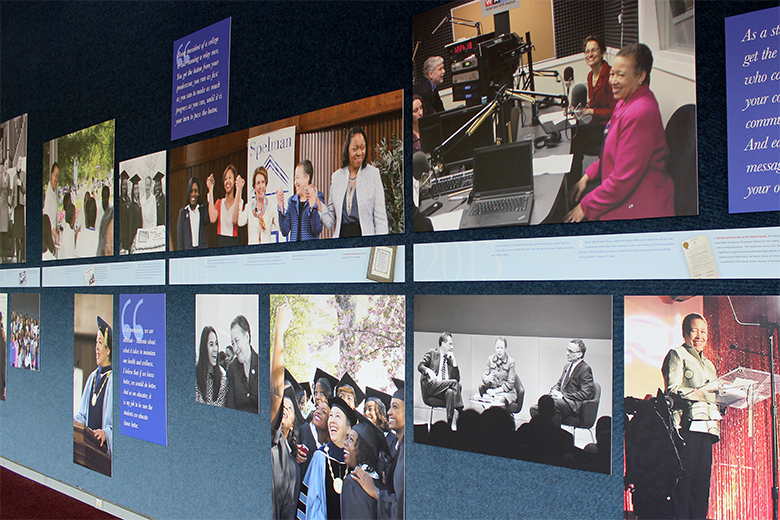 Spelman requested that we find a way to represent their President’s impact on the school through a display to be placed on an 85-foot wall within one of their buildings. Additionally, it was requested that the display be manageable enough that it could be easily relocated at a later date. Honored with the assignment, we set out to create a visually compelling and cohesive piece that would tell Dr. Tatum’s story while maintaining durability for the high-traffic location and also effectively utilizing the massive installation space. The outcome was a sprawling timeline of archived images, symbols of medals, certificates, dedications and more highlighting Dr. Tatum’s 13-year tenure. These assets were then specifically formatted to be easily readable and repurposed in the future.